Exterior: This boat has been totally redone in the past 2 years. Hull and deck were separated, a new rub rail was installed and then hull and deck joint was re-sealed (performed by professional boat repair shop). The hull has been stripped from the rub rail to the bottom of the keel. The hull was sealed with 5 coats of West System Epoxy, covered by 3 coats of Interprotect 2000 and finished with VC17 below the waterline and Sapphire Blue Interlux Topside above the waterline. The deck was stripped, repaired and painted with Ivory Awlgrip. All winches have been serviced and rebedded using 3M - 5200. Interior: The interior of the boat has been stripped and painted with white Interlux and looks very fresh and inviting. 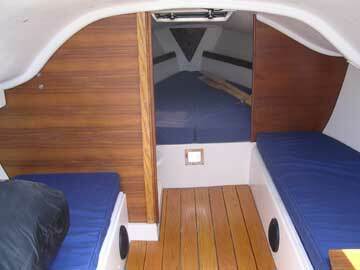 All new teak bulkheads installed. New custom floor installed. All interior cushions are new high density 4" foam covered with sunbrella fabric (Expensive but durable and worth it). All electrical was stripped from the boat and all new marine grade electrical has been installed including, Perko 2 Battery Switch, 2 new panels, Sony Explode CD/AM/FM with speakers in and out, new cabin lighting, new VHF Radio, all new deck connectors for mast wiring fittings, shore power to an intelligent marine charger and solar panel backup (I may be forgetting some things but you get the idea), new holding tank (2004) for fixed marine head. 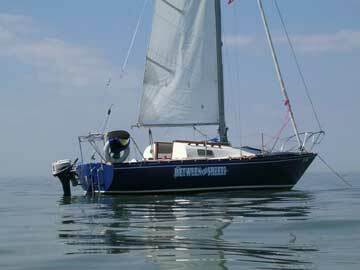 Sail Inventory: There are a number of sails included with the boat all cut for Harken Furler. 2 Mains - 1 Cruising (Dacron - Good), 1 Racing (Dacron - New 2004 - Very Good) 2 #1 Genoas - 1 Cruising (Dacron - Good), 1 Racing (Mylar with Kevlar strand - New 2005 - Very Good) 2 #2 Genoas - Mylar - Average 1 #3 Genoa - Dacron - Serviceable All spinnaker gear included but no spinnaker. 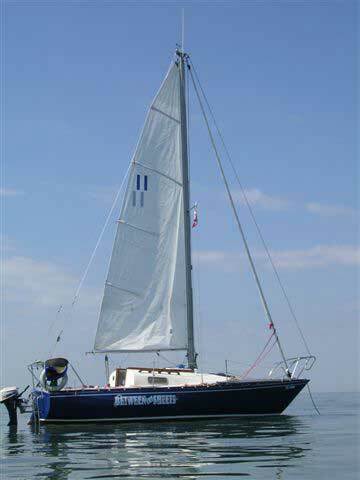 Sunbrella Main Sail Cover, anchor with rode, all safety gear, new bulk head compass, lifejackets etc. This boat has surprisingly great performance in all conditions. We race the boat at club events every week and finished 2nd overall - 2005 season - losing overall to a J-24 by one race, but beating many larger boats not just on corrected time but boat for boat. Our club fleet is made up of 2 - C&C 27's, Tartan Ten, C&C 32, Mirage 24, 2 CS 27's, Northern 1/4 Ton (not ours), J-24. 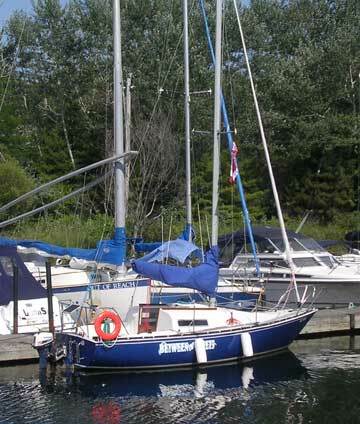 We raced in every weekend regatta in Southern Lake Ontario in 2005 and had numerous top 3 finishes including a 3rd Place at Youngstown, NY.